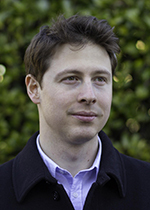 Alessandro Chiesa conducts research in the areas of complexity theory, cryptography, and security, and focuses on the theoretical foundations and practical implementations of zero knowledge proofs that are short and easy to verify. He is a co-inventor of the Zerocash protocol, and is an author of libsnark, the leading open-source library for succinct zero knowledge proofs. He is a co-founder of Zcash and StarkWare Industries.